Easy rug cleaning services for the home and office. How many times have you found yourself in a situation where you literally had to defend your home from mold marks and mold concentrations? When large furniture covers parts of your carpets for ages, there will be problems once you remove it. The larger the furniture the bigger the problem! You will immediately notice that the color of the carpet under the furniture is brighter, especially if it remained at the same spot for years. This is due to the fact that there is no foot traffic under furniture and these parts are hardly exposed to sunlight. You can take care of such problems by gentle carpet cleaning with a solution of white vinegar and water. You will also possibly notice stains which were unseen before. In this case, stain removal is necessary and you must follow the right cleaning procedures depending on the stain, its size and how old it might be. Such problems seem to have their solutions but what about the dents left by the furniture? Although dents might seem impossible to take care at first glance, we can assure you that they are far easier to deal with than stains. Let's discover how! If the dents are small or caused by small and not very heavy furniture, you can use the hairdryer to straighten up the fibers. You can help the procedure by slightly wet the area and brush fibers with your fingers as you blow dry them. 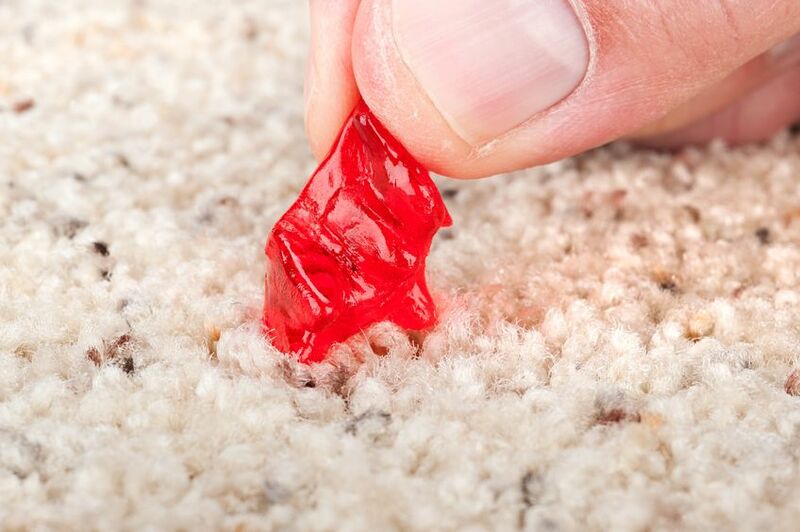 If dents are deeper or larger, you might need to add some more water, but be extra careful not to soak the carpet. 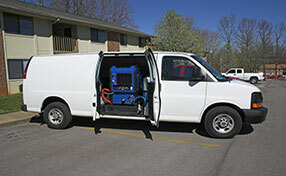 You don't want to solve one problem and cause water damage, which might lead to mildew growth. 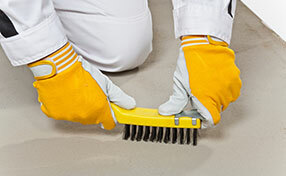 To avoid such problems and possibly mold removal in the future, it's best to use a damp towel. Place it over the dent and iron it. The heat will wake the lying fibers up. 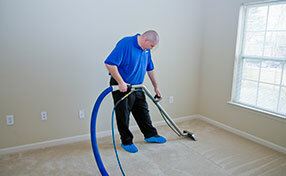 Once the fibers are dry, you can vacuum the area to help them get their proper height. A similar method is the ice cube procedure. You will have to place one or two ice cubes on the dent and let them melt. Don't use too many of them or you might have similar mildew problems tomorrow and you will need mold damage cleanup and repair. It would depend on the size of the dent. Once ice is melted, use a tool – like a spoon – to lift the fibers and blow-dry them well. Alternatively, you can place a cloth over the dent and steam iron the area. Then, try to straighten up fibers with a spoon or your fingers.